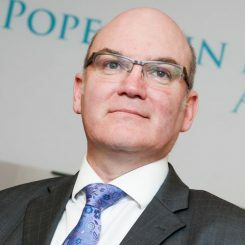 On Thursday 24th November, 2016 the diocese of Galway, Kilmacduagh and Kilfenora held their 6th Annual Pope John Paul II Award ceremony in the Chapel of St. Columbanus, NUI Galway. 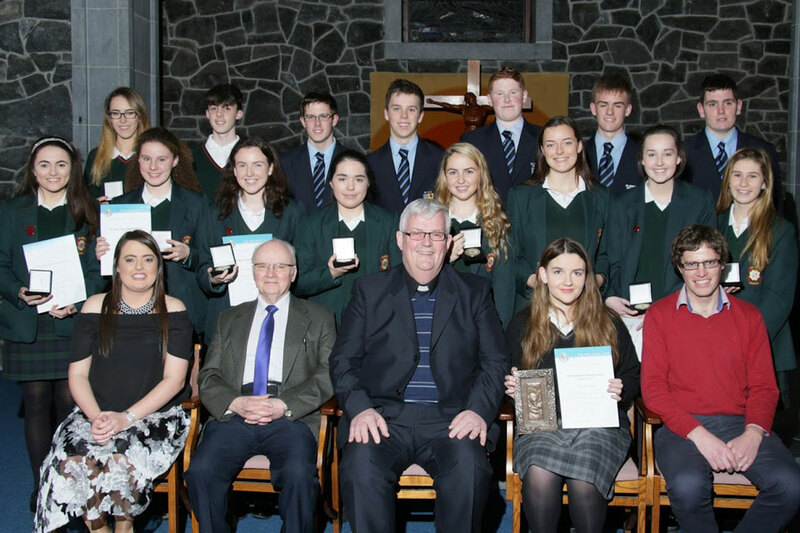 Canon Michael McLoughlin, Diocesan Administrator, presented the Award to 19 students from 5 different secondary schools and 10 different parishes in the presence of their families, teachers and friends. The schools involved were Salerno (Salthill), St Joseph’s Patrician College aka ‘The Bish’ (Galway city), Scoil Mhuire (Ennistymon) Calasanctius (Oranmore) and Seamount (Kinvara). Canon Michael thanked the young people and congratulated them on their achievements. He commended the young people for participating in the Award and for the witness they give in their parishes and schools. He also thanked those who supported the young people in achieving their Award. Four of the recipients spoke of their journey through the Award process. It was very evident that not only had the journey been a positive one for them but indeed their faith had grown through their active participation. Some of the activities the young people undertook included: becoming Ministers of the Word and of Holy Communion, attending World Youth Day, being a helper in Lourdes, helping out with children’s Masses, being stewards for the Novena to our Lady of Perpetual Help, volunteering with St. Vincent de Paul and the Irish Cancer Society, supervising homework clubs and movie clubs, coaching underage sports and visiting the elderly in nursing homes. The launch in 2010 and the continued existence of the Award is predominantly owed to the generosity and support received from the Knights of Columbanus so it was very fitting that in the Chapel of St Columbanus several of the local Knights were in attendance. Guest speaker on the night was William Browne who spent 9 years working with the Redemptorist charity SERVE in countries such as the Philippines and South Africa. He is now the Communications Officer with the OLA Sisters. He gave an in depth insight into his experience of working and volunteering in the developing world and spoke about the importance of service. He applauded the young people for the service they had given throughout their commitment to the Award and encouraged them to continue this service be it abroad or at home. Canon Michael and William present the medals and certificates to the 19 Award recipients. 1 young person received Silver, 17 received Gold and 1 received the Papal Cross Award. It was a very happy occasion for all involved.